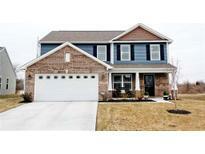 Below you can view all the homes for sale in the Emerald Village subdivision located in Indianapolis Indiana. 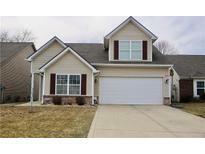 Listings in Emerald Village are updated daily from data we receive from the Indianapolis multiple listing service. To learn more about any of these homes or to receive custom notifications when a new property is listed for sale in Emerald Village, give us a call at 317-434-3783. This house it ready for you to walk right in and begin living. MLS#21626719. Keller Williams Indy Metro S.
Seller have upgraded several items including quartz countertops, stainless steel appliances, large custom stamped concrete patio, full privacy fence, all bedrooms have a ceiling fan rough ins, fully insulated and heated garage, Nest smart home thermostat, Kitchen island with storage and a double vanity in the master bath! This home won't disappoint! 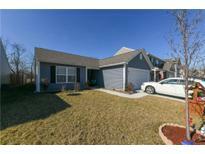 MLS#21622522. Hanza Realty, LLC. Home has pre-wired electrical for installation of ceiling fans. MLS#21618884. Landtree, REALTORS®. Only one previous owner who has finished the garage and added garage door opener. All electric. Must See ! MLS#21619306. Landtree, REALTORS®.